For all you music lovers out there, make sure you put this fantastic Band Night in your diaries. 21st January 2017! 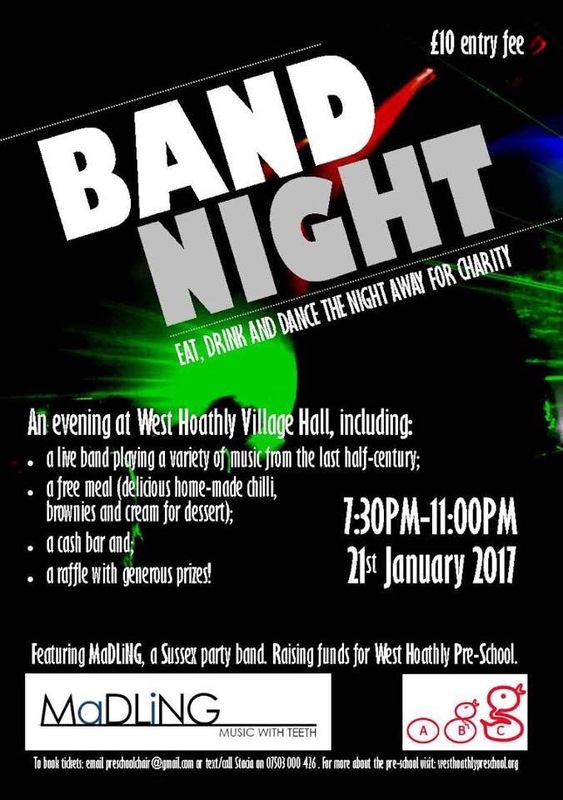 Raising money for the West Hoathly Village Pre-school. Email preschoolchair@gmail.com to reserve your place!